Should every tool in your toolbox have a laser? 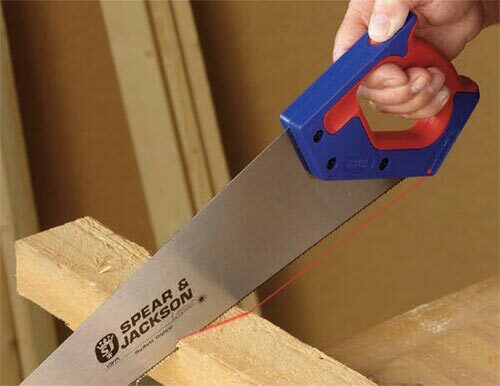 Probably not, but Spear & Jackson thinks your hand saw should or at least their Predator 22” hand saw should. It uses a laser built into the handle to project a straight laser line across your material. Normally I would blame the operator for bad cuts, but some of us have a hard enough time trying color within the lines, let alone cut straight. The operation of the Predator seems simple enough. Layout your cut with a pencil line, line up your saw, make sure your laser and pencil lines match up, then start cutting. The use of the laser really shows its potential when the task is cutting compound angles; something I would want to leave to my miter saw. At $35, is the Predator something you would buy? Be sure to watch the video of the Predator in action.